Have you been to Malaysia before? Did you capture lots of amazing photos and beautiful memories whilst in the country? If you did, then this might just sweeten your memory of Malaysia - Tourism Malaysia has just officially launched an online campaign and photo contest called #BeautifulMalaysia today (27th June 2015). What is #BeautifulMalaysia all about? As you would know if you’ve been to Malaysia before, there’s always something happening around the country at any time of the day throughout the year – places to explore, festivals to celebrate, food to feast on, modern malls and colourful markets to discover, and so on. And of course, all these could have been captured not just in memories but also in photos, whether by many or just a few of us. #BeautifulMalaysia is therefore a campaign to encourage visitors (and yes, locals alike too!) to share their beautiful Malaysia moments and photos online and allow others to experience and discover the beauty of Malaysia as well. Well, apart from allowing the world to see the country’s beauty through your own eyes, you could also automatically be in the running for some cool weekly prizes through Tourism Malaysia’s #BeautifulMalaysia online photo contest that runs for 14 weeks from 15th June to 20th Sept 2015. If you however don’t have any Instagram account, fret not! You can still participate in the contest as easily via official #BeautifulMalaysia website. You can also check out the contest gallery there for some inspirations, by the way. So what are you waiting for, guys? Start sharing those beautiful photos of yours and get cranking on the captions! 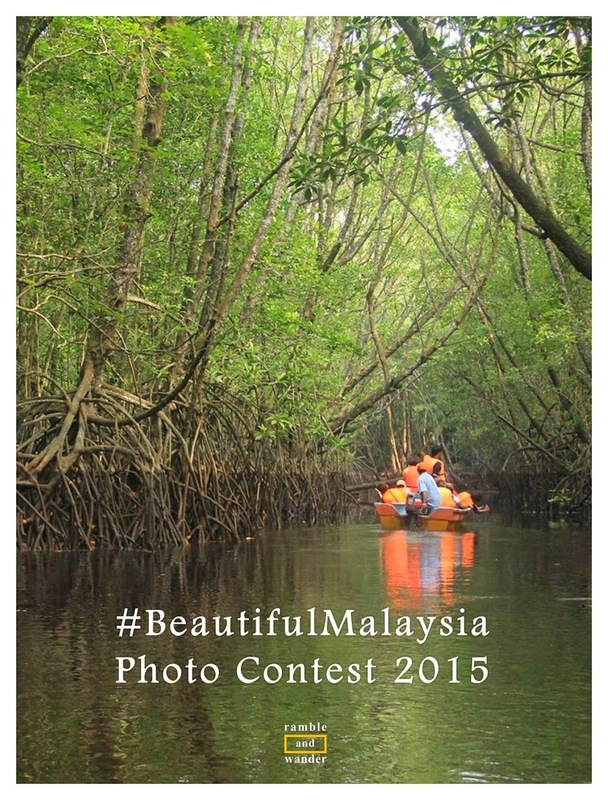 And don’t forget to include the hashtag #BeautifulMalaysia! I could do with a GoPro. :-) I love Malaysia. It was the first South East Asian country I ever visited, so it has a place in my heart. Ha! I could do with a GoPro too! Been thinking about it so this might just be the chance to win it for free! What year did you visit Malaysia, by the way? Malaysia is on our list. Can't wait to visit. This is a great way to market your destination. Photos from the people who really matter, the travelers. I believe so too! Would be interesting to see all the winning photos! Must be really hard for the organiser to pick just one out of so many every single week! I agree with travelwith2ofus, this is a great way to show off your destination and get people excited about it. I can't wait to make it to Malaysia one day. Cool contest and great prizes! Too bad I don't have any good Malaysia photos. I was there so long ago and I wasn't a very good photographer then! Time for another visit then, perhaps? Great to know that Malaysia is on the list! Do give me a buzz when you're heading this way! Oh this is great news! I'll definitely have to upload some photos from my recent trip to KL. I wouldn't mind an iPad! Nicee! I think this prize for this week's round is an iPad! Good luck! Omg friend your photo really amazing.. I like it. Haha! Daus! Thanks! Jgn lupa join juga contest ni! Tapi kalau menang, kena share, wokeh? Haha! That's why... I don't mind not winning (okay, I want to win a GoPro!) but I'd love to have a photo of mine gets printed as a postcard. Awesome prizes! Now, it's time to start looking for awesome photos to submit. And maybe start doing more trips too, to get more stock photos for the contest! I always travel within Malaysia. Come on, I practically travel to Ipoh once a month! Haha.. Sounds like a great venture! This contest is not to be missed and the prizes, amazing. I like to have my photos printed in postcards. Time to dig up those precious file.